The endangered African wild dog is increasingly coming into conflict with humans, partly because it is difficult to fence them out. But research from the Norwegian University of Science and Technology shows that an unusual approach to keeping them away from people and livestock may offer hope. Africa’s population is growing, as is its economy. Most people perceive this as a good thing, but it also has negative aspects, especially for certain species. The endangered African wild dog (Lycaon pictus) is one of these species. In spite of its name, these are not stray dogs, like house pets run wild. 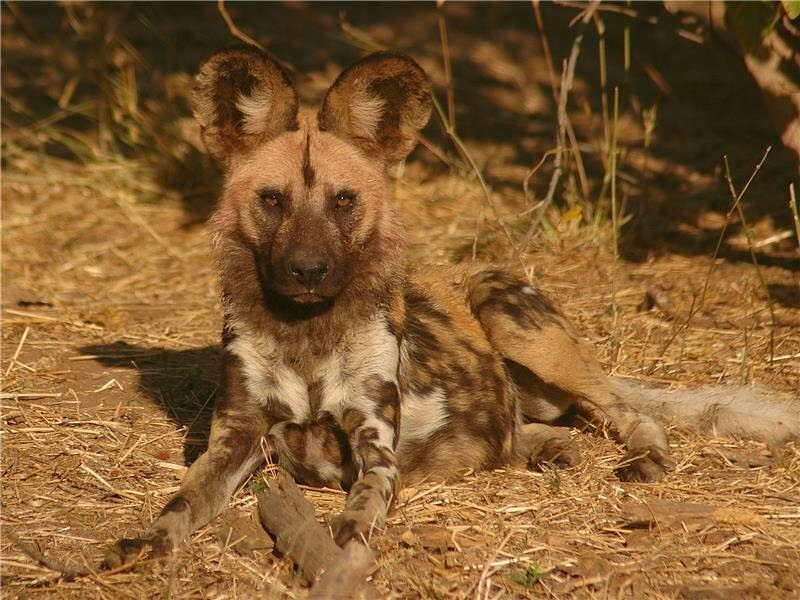 Instead, wild dogs are a genetically separate species that cannot interbreed with domesticated dogs. African wild dogs are not the same as domestic dogs. They were once numerous but now number only in the thousands. The situation for African wild dogs is similar to the conflict between wolves and humans in Norway and the United States. Even though the animals are protected, it means very little if people decide to kill them anyway, either out of ignorance or for economic reasons. 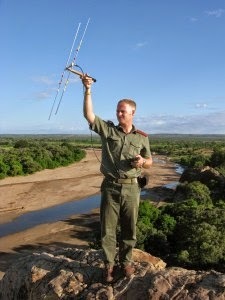 Craig R. Jackson recently completed his doctorate at the Norwegian University of Science and Technology (NTNU) with a thesis on African wild dogs, where he discusses possible solutions to preserve the species. Promising experiments show that scent marking is more effective as a barrier than fences. 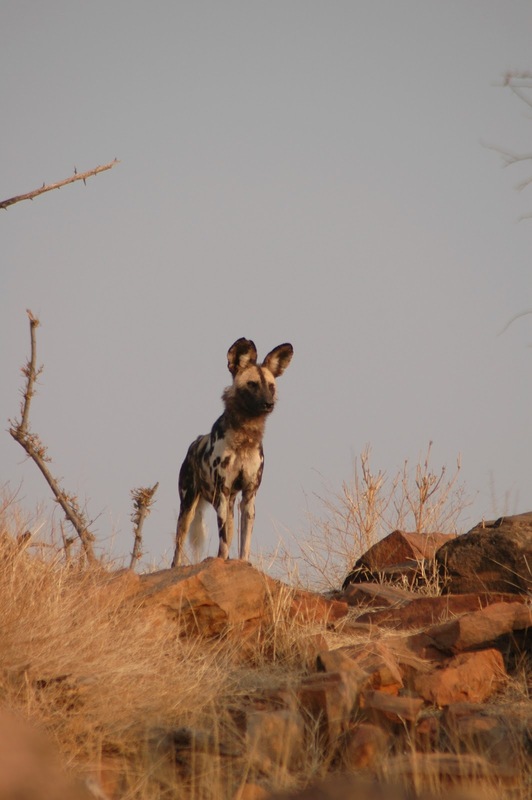 African wild dog populations were in good shape until a few decades ago. In the middle of the last century, there were 500,000 of them in 39 countries. But the species is in decline across nearly its entire range south of the Sahara. Today there are somewhere between 3000 and 5500 left, in fewer than 25 countries. That’s roughly one per cent remaining, even in the best case. Part of the problem is disease. But the one main reason numbers have plummeted so rapidly is because of the increasing number of conflicts between humans and wild dogs, as people expand into previously unsettled areas. Wild dogs live in packs that range across huge territories. It is not unusual for wild dogs to travel hundreds of miles across these territories. The dogs usually live in groups with one dominant male and female, but packs may also break away. These break away groups are usually only composed of females or males. Conflicts between humans and wild dogs will continue to escalate as people expand into previously unsettled areas. More and more potential wild dog territory is being gobbled up by the huge growth in African cities. This has led to an increasing number of conflicts between humans and wild animals, especially at the interface between protected areas and inhabited areas. Wild dogs thus face many threats. One of the main problems is that they go into traps that have actually been set up to provide “bush meat”, or meat from wild animals. Others may be killed in traffic accidents or infected by diseases transmitted by domestic dogs. But they are also killed intentionally, since they come into conflict with local interests, often farmers. It is not uncommon for entire packs to be poisoned. Other times their dens are destroyed, with puppies that have been left in the den while the adults are out hunting. Jackson knows of dens that have been set on fire with young dogs inside. It’s not unusual for entire packs to be poisoned, or their dens to be burned out. Wild dogs and other predators may compete for resources, especially where the animals live in highly restricted areas. This was a factor that helped to eradicate a population in the Serengeti in Tanzania. Lions and hyenas can kill wild dogs, and account for as much as half of all deaths. Unrelated neighbouring packs may also fight, increasing the likelihood that wild dogs will kill each other. Large packs do whatever they want in the territories of smaller packs. One of the problems that makes it difficult to protect wild dogs is that conventional fences that keep other animals out cannot stop them. Wild dogs are simply too smart. They find a way around or under. A fence is simply not perceived as a barrier. But there are other possibilities. “We’re trying now with biological barriers,” says Jackson. Wild dog packs are loath to intrude into the territories of other packs. These territories are defined by urine scent trails. So the researchers and their colleagues collected sand that had been sprayed with urine by wild dogs and moved it near to other packs to keep them inside a certain area – with success. African wild dogs were numerous just a few decades ago. “We found that the scent marks from foreign packs kept the wild dogs from moving into those areas,” Jackson said. Scent markings thus prevent the packs from entering what they perceived as another pack’s territory. Similar measures have been taken in the US to limit wolf territories. The method is, however, not completely problem-free. “The problem is not to spreading the urine around. The problem is collecting it,” says Jackson. It’s clearly very challenging to collect urine from wild dogs. Dr. Tico McNutt in Botswana is working on a project that is experimenting with creating artificial urine to keep wild dogs away from populated areas, in combination with traditional fencing. 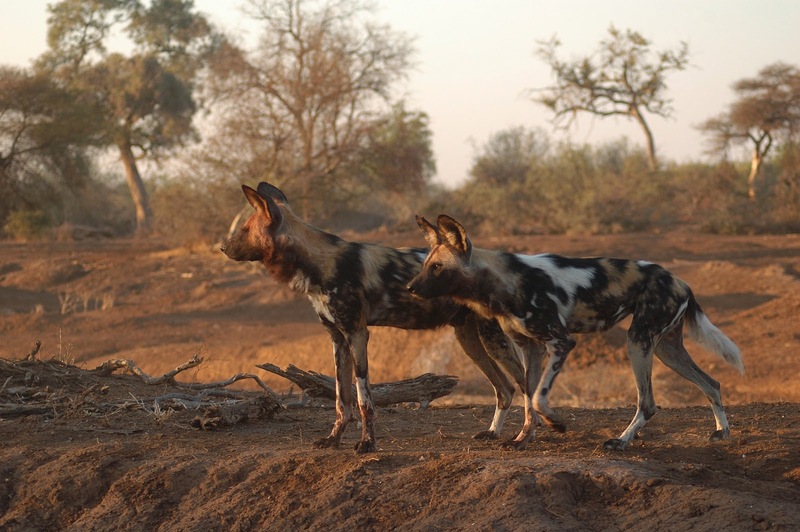 Artificial pee may thus help save the African wild dog.